851 High Street in Auburn, California, is the site of a former gas station. In 1988, Placer County first received a report of an unauthorized release of petroleum products. In 1989, the first 3 monitoring wells were installed, and from 1989-1993, free product was removed, at times as often as weekly, from MW-3. In April 1995, five additional monitoring wells were installed, and in December 1995, an interim remedial system was installed. Two years later, in October 1997, a 10th monitoring well was installed. 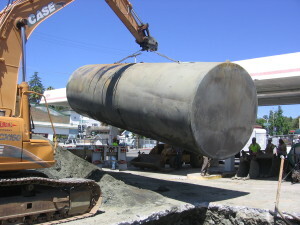 Subsequently, in 2003, a Dual Phase Extraction system was installed on site. Sixteen years after the first report unauthorized release, on December 29, 2004, E2C Remediation was hired to take over the remediation of the site. 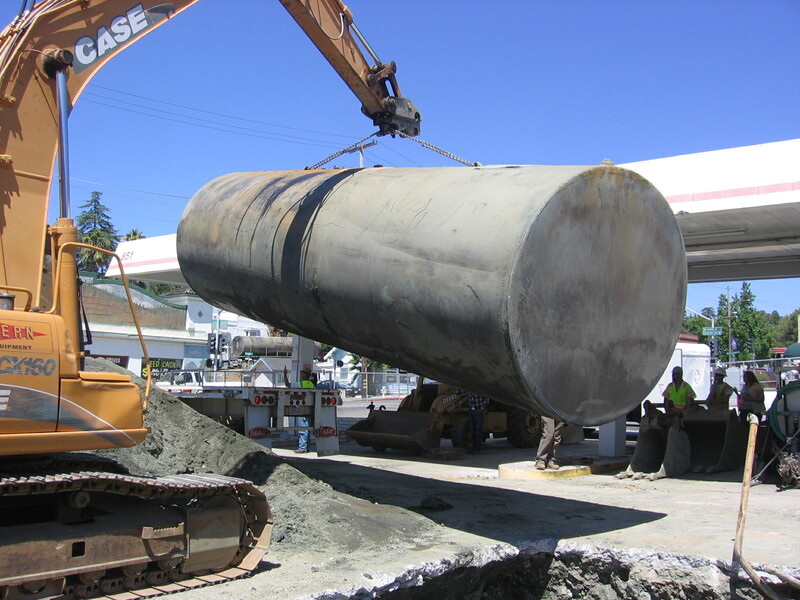 In July 2005, the Regional Water Board approved E2C’s workplan to restart the DPE system, but operation became impractical due to the City of Auburn’ requirements relating to the discharge of the treated groundwater. In November 2005, E2C submitted a revised workplan recommending ozone sparging as a method to remediate the site, which was conditionally approved in February 2006. Between April 2006-April 2007, E2C worked with the Regional Water Board, performing a bench scale test (which proved ozone sparging was an effective treatment alternative), and submitting additional requested workplans for an in-field ozone sparge pilot test and for contingencies in the event of any byproducts resulting from the ozone sparging. In April 2007, E2C was approved to perform a 90 day in-field ozone sparge test, which resulted in the long-term operation of an ozone sparge system on site through November 2011. From January 2012-October 2012, E2C performed confirmation soil borings on site, sub-slab soil vapor sampling, and prepared a Tier 2 Human Health Risk Assessment. Subsequently, the Regional Water Board agreed with E2C’s recommendations for closure and requested a No Further Action Report, which was submitted in December 2012. In May 2013, the Regional Water Board requested destruction of the wells on site, and on September 16, 2013 issued a No Further Action letter.